UMNO Information Chief, Datuk Ahmad Maslan recently challenged the opposition party to lower prices of goods in the state that is controlled and administered by Pakatan Rakyat as a symbol and proof that they are really smart and supposedly concerned with the people. He said that by example, RON95 is now priced at RM1.90, while RON97, RM2.90. 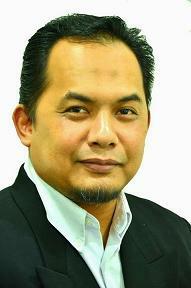 Thus, he challenged the government of Selangor, Kedah, Penang and Kelantan to reduce RON97 as the price of RON95. If PR state government are not able to do it so don’t accuse BN as ‘ Barang Naik’. Previously, Ahmad Maslan expressed the same matter during the election campaign in the Tenang by-election earlier this year. Ahmad Maslan really quite upset with the use of BN as an abbreviation for "Barang Naik '. 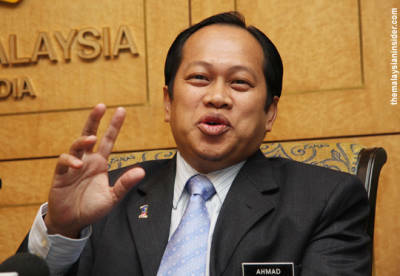 So far, Ahmad Maslan is the only leader of UMNO / BN are consistently want the price of goods at reduced prices PR states. A few hours ago, I delivered a speech in Tampok located in Pontian Parliament. I have challenged Ahmad Maslan to urge Datuk Ghani Othman to provide free water to the people of Johor at 20 cubic meters which had been made by the Selangor government. If the Selangor government afford to award free water supply, Johor government suppose to be able to do the same action. If this proposal is not in the sense therefore I suggest Ahmad Maslan need to stop talking about it.